Born – Originally from Fareham in Hampshire my family moved several times when I was small. I lived in Hampshire till I was 6, St Albans till I was 9 and Essex till I was 17. I left home and school at 16 and moved to London when I was 17, and I've lived in London ever since. I absolutely love London and am excited to be the Women's Equality Party candidate for London Mayor in 2020. Studied / Education background – I studied maths at Southwark College and then went on to London South Bank University where I did a degree in computing and then a PhD in software engineering. 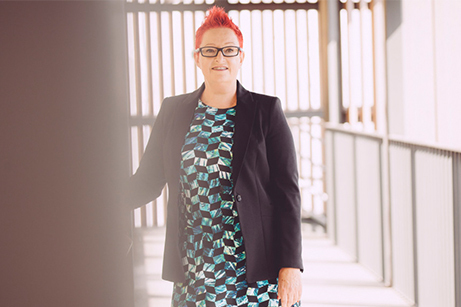 Current role / bio – Sue is Professor of Computer Science and Technology Evangelist in the Department of Computer Science at Durham University, a UK government advisor, thought leader, Trustee at Comic Relief, social entrepreneur, writer and public speaker. Sue set up the UK’s first online network for women in tech BCSWomen in 1998 and led the campaign to save Bletchley Park. Sue’s first book Saving Bletchley Park details the social media campaign she led to save Bletchley Park from 2008-2011, it has been an Amazon UK bestseller. I’m Professor of Computer Science and Technology Evangelist at Durham University. My job involves teaching, research and lots of other exciting things like talking to all sorts of people from local schoolchildren through to groups of senior executives about the benefits of education, how technology can change our lives for the better and provide so many opportunities. I loved maths at school, but left at 16. When I went back into education aged 26 I studied maths at college. The course had some programming in Basic which I really enjoyed, with a lot of help from my teacher I wrote some code to replicate chaos theory. I found that really interesting and fun. When deciding which degree I wanted to take I chose computing because I thought then and think now that technology is the future. The more we know and understand the greater input we can have into making the world a better and more interesting place for everyone. Getting my job! I started as Professor at Durham University 4 months ago and am absolutely loving it. I’m delighted that shortly after I joined we submitted a successful proposal to run an exciting pilot programme for 100 women in the North and Midlands, training them into technology roles called TechUP. We are currently putting the programme together, it will run from July 2019 till 2020. I also love the fact that we are focused on encouraging more women to study and work as academics in the department of computer science at Durham and am working to make that happen. Trust your gut instincts. I think particularly being brought up as a girl in the 1960s I was encouraged to make sure everyone else was ok before thinking of myself. I was also brought up to think that people who were older than me always knew better than me. I know now that’s not true. We know ourselves and what’s right for us much better than anyone else. We need to be brought up to take advice from others, but then consider all advice then trust our gut instincts to make the right decision. There will be more and more work available online, technology will become involved in all job roles to some extent. This means that people who don’t interact with technology will be out of the loop. Substantial investment is needed to ensure that everyone has the chance to take part in the next digital revolution. People will connect together more through technology, for good and bad. More diversity in our workforces will mean products and services which are fit for purpose for all consumers helping everyone to realise that technology can help solve many of the problems we have in today’s society. Sue will also be taking part in a book signing in association with Blackwells, where you can meet her after her keynote session and purchase a signed copy of her book, this will be taking place on Thursday 4th April at 14:45 pm to 15:15 pm next to the Press & Speaker Lounge.